Three winds currently blowing through political Washington: the never-ending, middle school-esque drama talk, the steady reduction of executive overreach and the need for legislative leadership. All three will have an effect on mid-term elections next year. The backdrop is the fire that fueled Trump's election -- the fear of government corruption. To make sense of it, we might learn from an event that occurred in the fall of 2011, when my father, Newt Gingrich, was running for president and my daughter was in sixth grade. I had heard that students' transitions to middle school are often accompanied by drama, as social groups are in flux and children are beginning to navigate more complex social interactions with peers. One afternoon, when picking her up from school, I asked her whether that was indeed the case. "I don't pay attention to middle school drama," she said, adding that the national drama associated with the presidential campaign was enough for her to deal with. She had learned to ignore the drama swirling around her, knowing that, in time, it would pass. Six years later, most of my friends seem exhausted by the constant news media coverage of the current political back and forth, middle school type drama regarding national politics. Friends who are normally glued to cable news have resigned themselves to taping and watching Judge Judy instead. In time, it, too, will pass. Perhaps obscured by all of the drama, real progress is being made on the reduction of executive power. This week in Politico Magazine Zachary Karabell wrote "How Trump Throws Away his Own Power," which argued that, while Trump has been dominating the national political news, "the net effect of the first year of the Trump presidency has not been to augment the considerable powers of the president but to decrease them." Evidence? Trump's decision to rescind an administrative order regarding Deferred Action for Childhood Arrivals with a six-month delay for implementation, while asking Congress to legalize it. 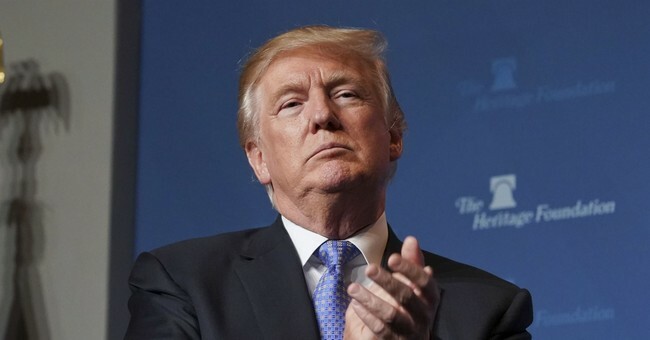 "President Trump roundly denounced the nuclear deal concluded by Obama and the international community with Iran, refused to recertify it, and called on Congress to revise it," Karabell wrote. "Then the administration halted its $7 billion in Obamacare subsidies that closed some of the payment gap for lower-income families." And that "spurred two dozen senators in both parties to sign on for a bipartisan fix to the Affordable Care Act." Karabell concluded that "each of those moves drastically undermined the implied authority of the executive branch. Rather than asserting, as Bush and Obama had done, that the presidency had this or that power, Trump simply announced that the executive branch would no longer exercise powers that had been creatively extended under the prior administrations and demanded that Congress solve the problems it should have solved all along." While the news media, critics and frenemies are focused on Trump's words, Trump is moving forward -- as promised -- to reduce executive power. As Trump pushes power back toward the legislative branch, its members have to pick up the gauntlet and move it forward. Since they are used to presidents providing more direction and input on the front end of legislation, they seem confused about how to take the lead in legislation. The midterm elections are when the party on the outs runs against the president, who is not even running. To combat this, the Republicans need to produce and pass legislation. Even if it is not signed into law by Trump. They must do their job. As a backdrop to these winds, the number one fear of Americans today, according to The Chapman University Survey on American Fears, is corruption of government officials (74 percent of Americans). Fueling that fear was this week's news that the Democratic National Committee and Hillary Clinton's presidential campaign helped pay for the investigation into Trump and his potential Russian ties. Also adding fuel to the fire was the increased focus on Clinton's emails, the funding of the Clinton Foundation and the sale of uranium under the Obama administration. During the year that remains before the midterm elections, we will doubtless be witness to plenty more drama. Our job will be to distinguish what merits our attention from what is of the middle-school variety.